Britannia coins are British bullion coins issued by the Royal Mint in gold since 1987 and in silver since 1997. Britannia gold coins contain one troy ounce of gold and have a face value of £100. Gold Britannias also are issued in fractional sizes of one-half, one-quarter, and one-tenth of a troy ounce and with face values of £50, £25, and £10 respectively. In 2013 two additional sizes were introduced, a five-ounce coin of face value £500, and a fractional size of one-twentieth of face value £5. Britannia silver coins contain one troy ounce of silver and have a face value of £2. Silver Britannias also are issued in fractional sizes of one-half, one-quarter, and one-tenth of a troy ounce and with face values of £1, 50p, and 20p respectively. Like the gold coins in 2013 two additional sizes were introduced, a five-ounce coin of face value £10, and a fractional size of one-twentieth of face value 10p. From 2013 the gold coins have a millesimal fineness of .9999 (or 24 carat gold). Until 2012 the gold coins have a millesimal fineness of .917 (91.7% or 22 carat gold) with the non-gold component being copper until 1989 and silver from 1990. Since 2013 the silver coins have been produced with a millesimal fineness of .999 (99.9% silver). Mass 31.21 g and Diameter 38.61 mm. From 1997 to 2012 the silver coins had a millesimal fineness of 958 (95.8% or Britannia silver). Total mass 32.45g, Diameter 40.00mm. Silver Britannias have been released each year beginning in 1997, when a silver proof set was offered. In 1998 and in all subsequent even-numbered years the reverse design has depicted a standing Britannia figure. Beginning in 1999 and continuing in odd-numbered years, a series of alternate, non-repeating depictions of Britannia have replaced the standing figure on the reverse. Starting in 2013, the proof versions of the coin will feature a different design each year, while the bullion version of the coin will always feature the classic standing Britannia. While mintage was limited prior to 2013, in 2013 and after mintage of the bullion version of the coin is unlimited based on demand. Some 2014 silver Britannia coins were struck with the incorrect obverse as there was a mix up during the manufacturing process with the 'Lunar' Year of the Horse coins from The Royal Mint, as both coins were to the same fineness and specification, and similar but not identical obverse sides. It is thought that there are around 17,000 examples with the mis-strike, which have been dubbed the 'Mule Britannia' These coins have fetched substantial premiums on online auction sites. The following table has the most recent numbers of coins minted by year. ^ a b "2013 Britannia One Ounce Silver – A New Start for a True British Icon". The Royal Mint. Retrieved 17 May 2014. ^ "Lunar Year of the Horse 2014 UK One Ounce Silver Proof Coin". Retrieved 12 March 2013. ^ "'Mule' Britannia: error versions of silver £2 coins surface". 3 March 2014. Retrieved 12 March 2014. ^ "Silver Britannia Mintage". Silver Bullion World. Retrieved 15 September 2013. ^ "2003 Dated UK Collector Coin Sales". ^ "2004 Dated UK Collector Coin Sales". ^ "2005 Dated UK Collector Coin Sales". ^ "2006 Dated UK Collector Coin Sales". ^ "2007 Dated UK Collector Coin Sales". ^ "2008 Dated UK Collector Coin Sales". ^ "2009 Dated UK Collector Coin Sales". ^ "2010 Dated UK Collector Coin Sales". ^ "2011 Dated UK Collector Coin Sales". Krause, Chester L.; Clifford Mishler (2004). 2005 Standard Catalog of World Coins: 1901–Present (32nd ed.). Krause Publications. ISBN 0873497945. The Krugerrand is a South African coin, first minted on 3rd July, 1967 to help market South African gold and produced by Rand Refinery and the South African Mint. By 1980, the Krugerrand accounted for 90% of the global gold coin market. The name is a compound of Paul Kruger, the former South African president depicted on the obverse, and rand, the South African unit of currency. During the 1970s and 1980s, some western countries forbade import of the Krugerrand because of its association with the apartheid government of South Africa, most notably the United States, which was the coin's largest market in 1985. Vreneli is the informal name for a range of legal tender gold coins produced in Switzerland. The formal name is: Tête d'Helvetia (French), Helvetiakopf (German) or Helvetia Head (English). The coins were issued between 1897 and 1936, in 1947 and in 1949. All coins issued after 1936 are restrikes. A gold bar, also called gold bullion or a gold ingot, is a quantity of refined metallic gold of any shape that is made by a bar producer meeting standard conditions of manufacture, labeling, and record keeping. Larger gold bars that are produced by pouring the molten metal into molds are called ingots. Smaller bars may be manufactured by minting or stamping from appropriately rolled gold sheets. The standard gold bar held as gold reserves by central banks and traded among bullion dealers is the 400-troy-ounce Good Delivery gold bar. The kilobar, which is 1000 grams in mass, is the bar that is more manageable and is used extensively for trading and investment. The premium on these bars when traded is very low over the spot value of the gold, making it ideal for small transfers between banks and traders. Most kilobars are flat, although some investors, particularly in Europe, prefer the brick shape. Asian markets differ in that they prefer gram gold bars as opposed to Troy ounce measurements. Popular sizes in the Asian region include 10 grams, 100 grams and 1,000 gram bars. The Chinese Silver Panda is a series of silver bullion coins issued by the People's Republic of China. The design of the panda is changed every year and minted in different sizes and denominations, ranging from 0.5 troy oz. to 1 kilogram. The Centenario is a Mexican gold bullion coin first minted in 1921 to commemorate the 100th anniversary of Mexico's independence from Spain. The coin is not intended to be used as currency; the face value of 50 pesos is for legal purposes only, and does not reflect the actual value of the gold content. The America the Beautiful Silver Bullion Coins comprise a series of silver bullion coins with a face value of a quarter dollar. 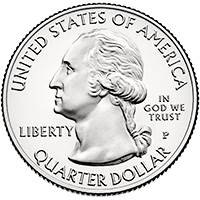 The coins contain five troy ounces of silver, making them the largest silver bullion coins ever issued by the United States Mint. The design of the coins duplicates exactly—though enlarged—each of the America the Beautiful Quarters. They have been issued since 2010 and will continue to be issued until at least 2021. The coins are available for sale during the year in which their corresponding circulating coin is issued. The coins are distributed by the United States Mint's network of authorized bullion dealers, and may be resold at the discretion of the Director of the National Park Service. A gold coin is a coin that is made mostly or entirely of gold. Most gold coins minted since 1800 are 90–92% gold, while most of today's gold bullion coins are pure gold, such as the Britannia, Canadian Maple Leaf, and American Buffalo. 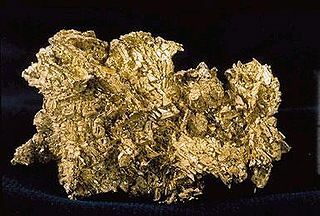 Alloyed gold coins, like the American Gold Eagle and South African Krugerrand, are typically 91.7% gold by weight, with the remainder being silver and copper.